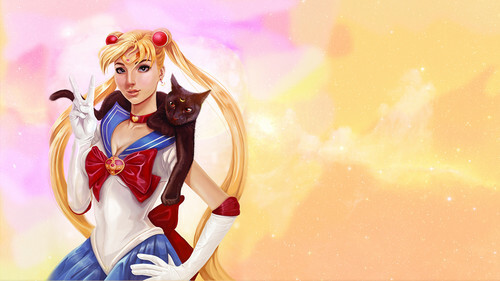 Real Life Sailor Moon and Luna. Real life drawing of Sailor Moon and Luna. HD Wallpaper and background images in the Sailor Moon club tagged: sailor moon sailor moon anime usagi luna. This Sailor Moon wallpaper might contain ٹائٹس, leotards, سرکتی, لیوتردس, کاک کپڑے, میان, کوکٹیل, and لباس.